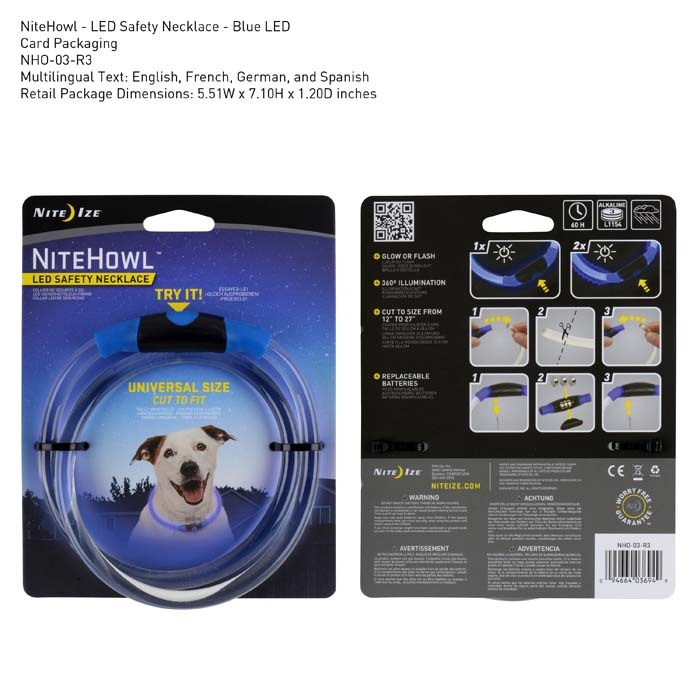 Home > Shop By Products > Campground Supplies > Retail Pet Products > Nite Howl Safety Necklace Collar -SOLD 12 QTY $8.15 EA. 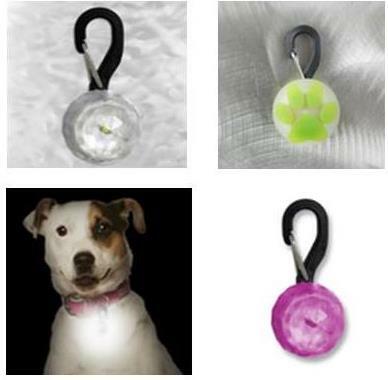 This universally sized LED necklace provides a full ring of light around a dog's neck, keeping them visible and safe at night. Illumination has come full circle, literally. 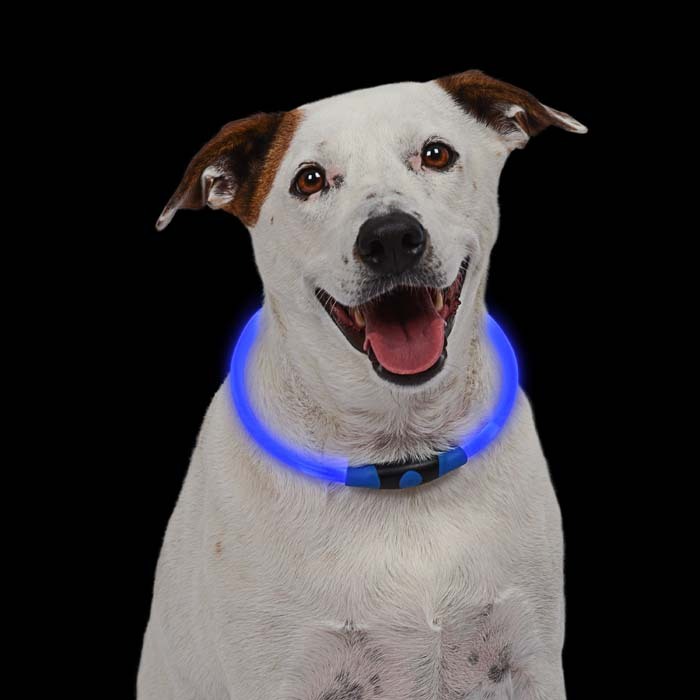 Our brilliantly durable NiteHowl LED Safety Necklace is made with a flexible polymer tube, illuminated by two bright LEDs (red, green, or blue), and simply slides over your dog's neck for hours of nighttime fun & safety. 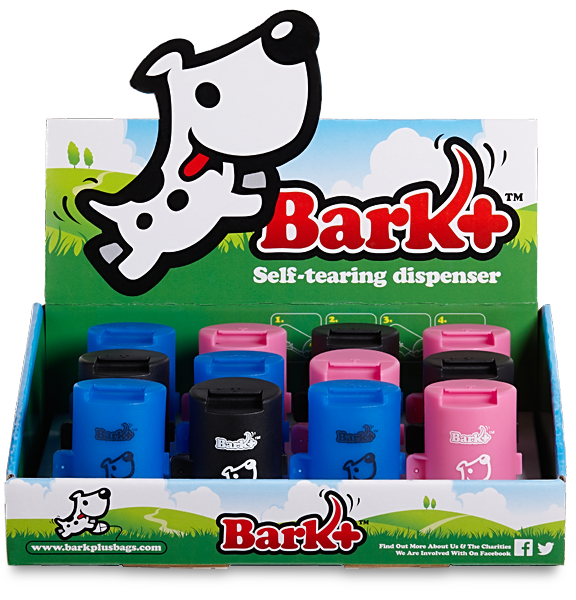 Just trim the tube to a custom fit, give the button on the durable, weather resistant housing a quick press, and the entire collar lights up a full 360 degrees, making your dog clearly visible from all angles. 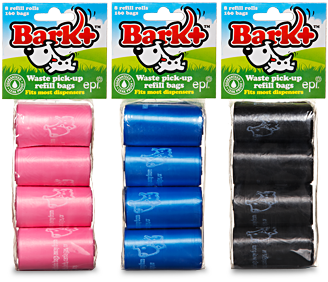 The LEDs can be set to either flash or glow modes - great for differentiating more than one NiteHowl-wearing dog. 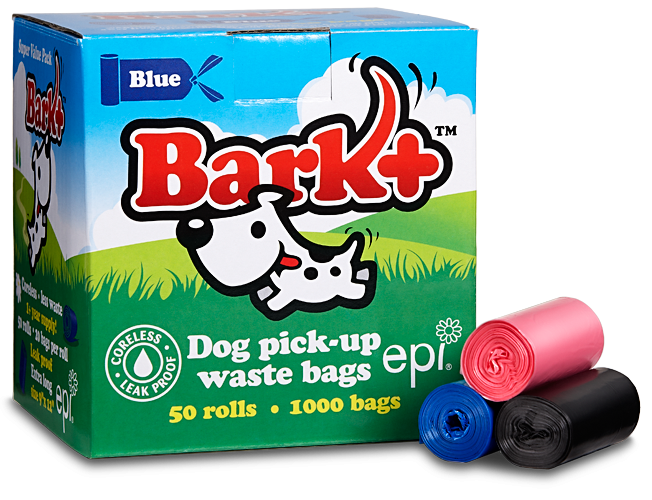 But, as fun as it is (like a neon necklace for dogs! ), the best thing about the NiteHowl is that it keeps you and your buddy seriously safe on those after-hours walks, romps in the park, and campsite moon-howling sessions. 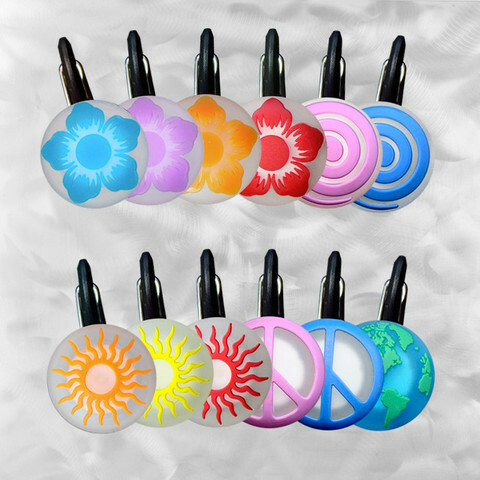 SOLD 12 QTY $8.15 EA.